HBO distanced itself from a tweet by US President Donald Trump promoting re-imposed US sanctions on Iran. 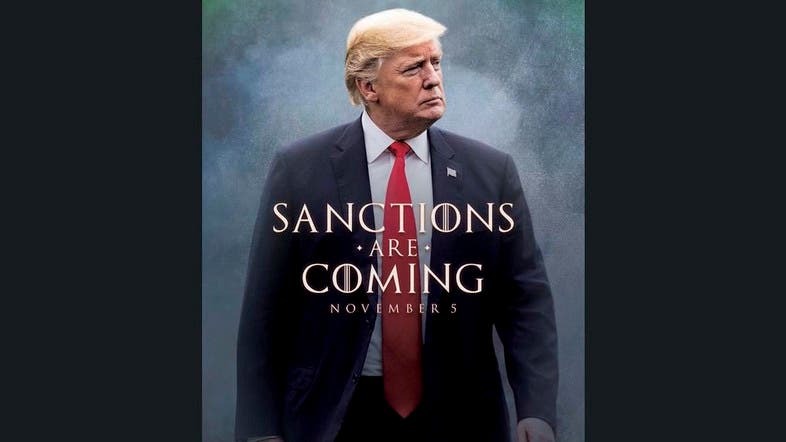 Trump tweeted an image of himself on Friday, featured a text overlay reading “Sanctions are coming.” The font of the text is a near-match of the style used in HBO’s mega-popular fantasy television series “Game of Thrones”. The text itself appears to imitate “Winter is coming,” one of the show’s most popular slogans. In a statement sent out to to The Hollywood Reporter, HBO said: “We were not aware of this messaging and would prefer our trademark not be misappropriated for political purposes,” according to AFP. In the tweet, Trump was referring to a host of new sanctions set to be imposed on Iran by the United States, after Washington ditched an agreement reached under Barack Obama’s administration to lift sanctions in exchange for controls over Tehran’s nuclear programs. The punitive measures were announced Friday but take effect Monday.